This page is for Chomp-related high-res, downloadable resources for media, including key art, stills, and more. NOTE: If you don’t see what you need, contact us and we’ll send it to you. Millie is determined to prove to the world that she’s captured the first real zombie–even if he’s not one. Click to see full-size, then right-click to download. Official movie poster for Chomp. 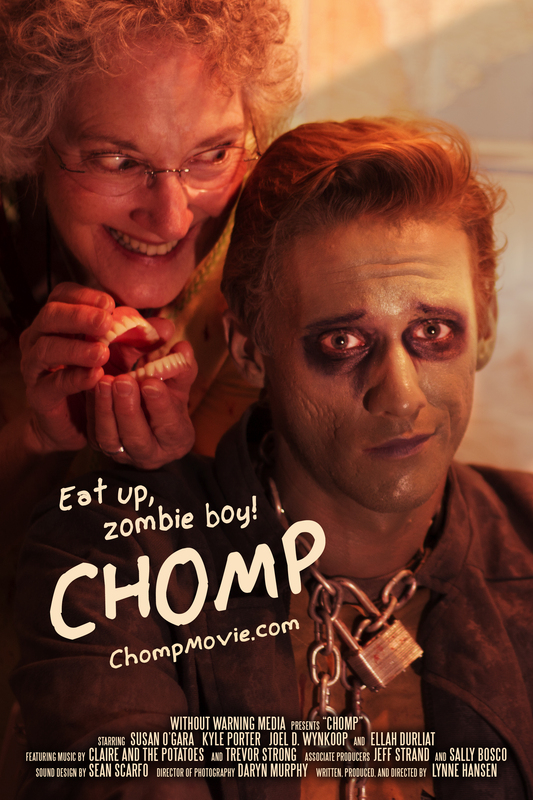 Chomp, directed by Lynne Hansen, starring Susan O’Gara and Kyle Porter. 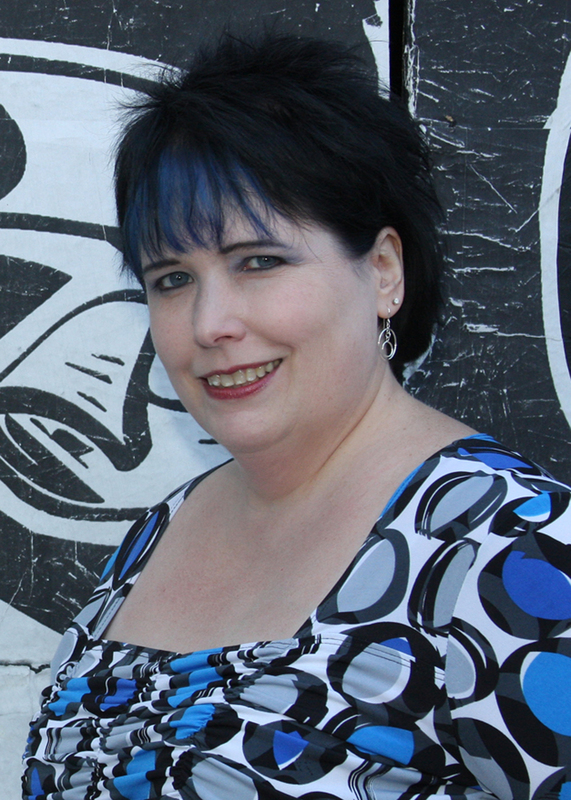 Lynne Hansen, writer and director of Chomp. Official Chomp Still #1: Susan O’Gara as Millie. 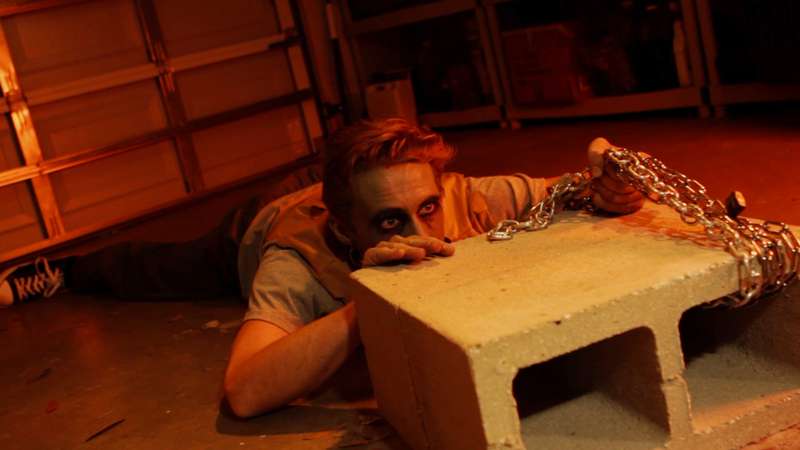 Official Chomp Still #2: Kyle Porter as Kyle in Chomp. 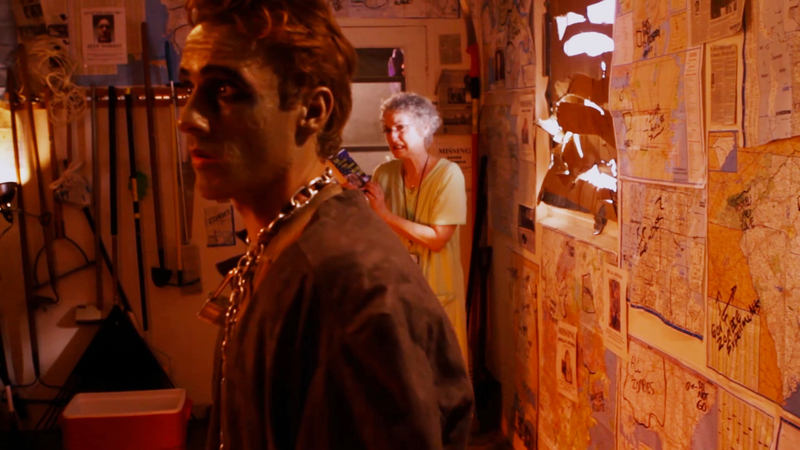 Official Chomp Still #3: Kyle Porter (Kyle) and Susan O’Gara (Millie) in Chomp. 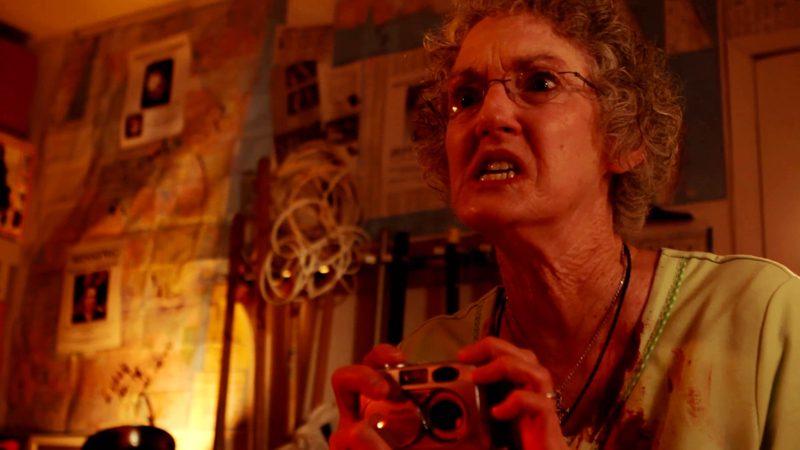 Official Chomp Still #4: Susan O’Gara as Millie in Chomp. 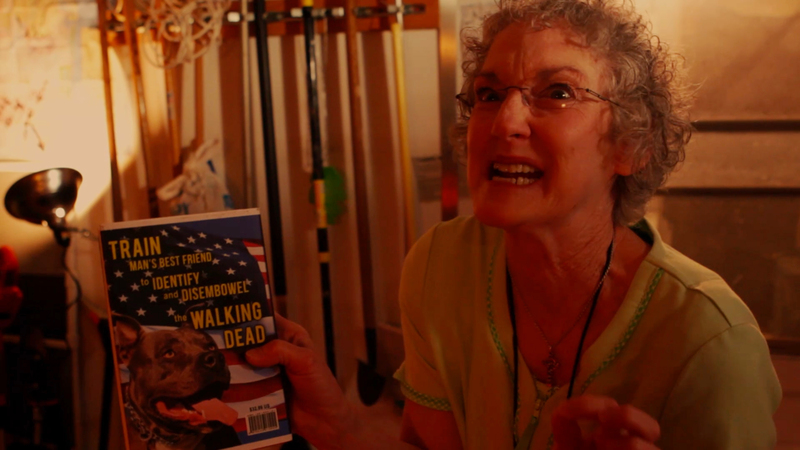 Official Chomp Still #5: Director Lynne Hansen working with Ellah Durliat (Little Zombie Girl) on Chomp. 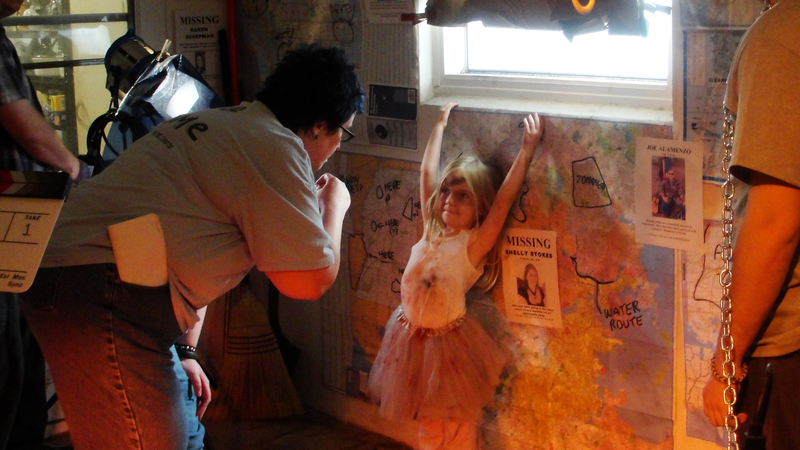 Official Chomp Still #5: Director Lynne Hansen and Ellah Durliat (Little Zombie Girl) working on a scene in Chomp.